Will G and Caroline R are Bedstone’s new Head Boy and Girl for the next academic year. Here Will and Caroline tell us all about what their new roles involve. 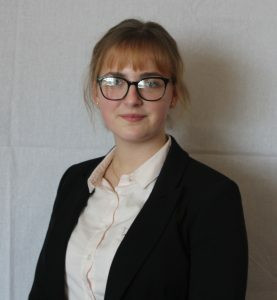 Read on to find out about being Head Girl, then watch the short video to hear from our Head Boy. Caroline, why did you want to be Head Girl? Because I wanted to give back to Bedstone, it has done so much for me, also to be a role model and show what I am capable of. What has been the biggest challenge in your new role? Probably arranging everything at the beginning of term with lots of new students during the first few days, it was very busy. Do you have any changes planned for your time in post? I’d like to improve relationships with the senior school and prep school. I’d like to introduce a storytelling activity for the prefect on duty and to help the prep school sports teams by training alongside the senior teams sometimes. What has been the best bit about being Head Girl so far? Going to the Heads of College Conference and meeting lots of new people there. Congratulations to our outgoing Head Boy Jack who is taking a gap year before studying Mechanical Engineering next year and our outgoing Head Girl Leah who is going on to study Sports Coaching at University of Chichester.